Understanding how car loans for bad credit individuals work might be important if you have some blemishes on your credit history. Although it may be difficult to get financing if you have bad credit, there are some programs out there that are available. Here are a few things to consider about car loans if you have bad credit. When you are trying to get a car loan, one of the most important factors will be what the payment is. You want to get a monthly car payment that is affordable for you and your budget. We have bad credit, sometimes this can be difficult. As a result of the low credit score, the interest rate that they offer you is going to be higher than normal. As a result of this, if you get a standard loan, your payment might be higher as well. If you cannot afford a payment with a traditional fixed-rate loan, they may also offer you some other loan products. For example, you might be able to get an adjustable-rate loan that has a lower initial interest rate. With this type of loan, you are taking on more risk, but you will get an initial payment that is lower and more affordable for you. In some cases, you may also be able to get a loan and has a longer repayment period. Many car loans start out at 60 months long. If you go longer than that, you can lower the payment significantly. Many car loans are now going as long as six or seven years in order to get more affordable payments for those with bad credit. 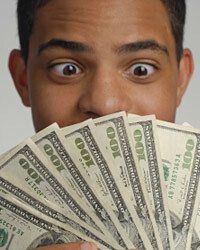 The lender is going to pay special attention to your credit history when evaluating you for a loan. They are going to look at your credit score to determine what type of borrower you have been up until this point. They will look at the amount of debt that you have and whether or not you have been making your payments on time. These are critical factors when determining whether they will extend a loan to you or not. Something else to consider when you have bad credit is refinancing your car loan. If you have a car that you have already own for a few years, you could potentially think about refinancing the loan so that you can get a cheaper payment. If you have paid down the balance, you will be able to refinance the loan for the amount that you owe over a longer period of time. This will have the effect of lowering your payment and making it more affordable for you. Therefore, if you have bad credit and you have to agree to a loan that is questionable, you know that you will not have to be stuck in it forever. If you can simply managed to make the payments for one to two years, you could eventually refinance and get a lower payment that you can afford.